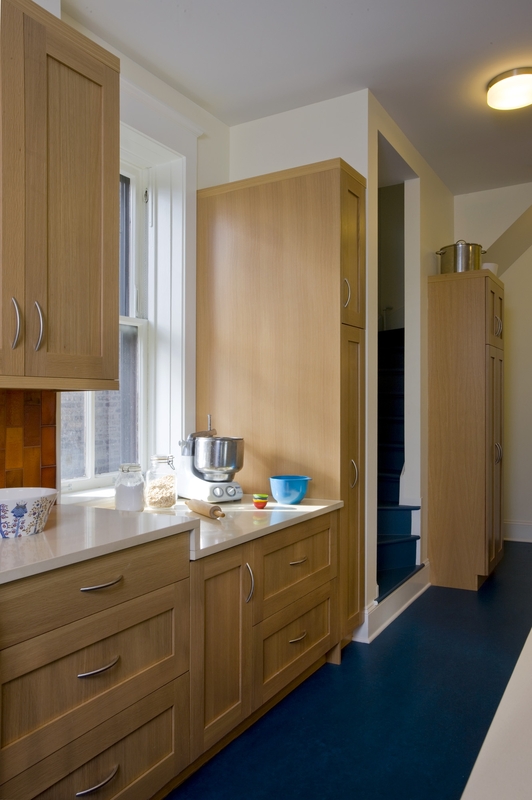 This delightful kitchen remodeling makes the most of a 13’ wide space at the rear of a vintage Hyde Park row house. 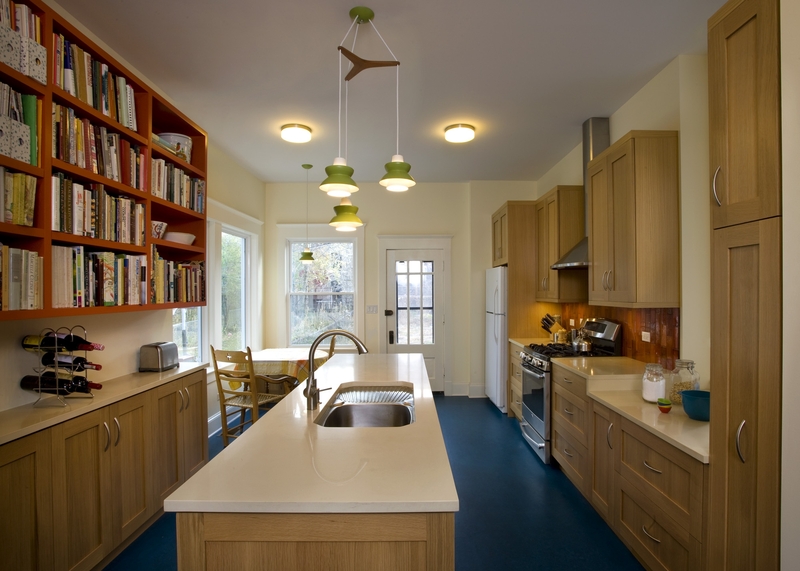 The existing kitchen was awkward, with discontinuous cabinetry interrupted by numerous doors and windows, and an enclosed back porch that cut off light and obstructed views to the backyard. The rear wall of the house was removed so that the enclosed porch could be integrated with the kitchen. 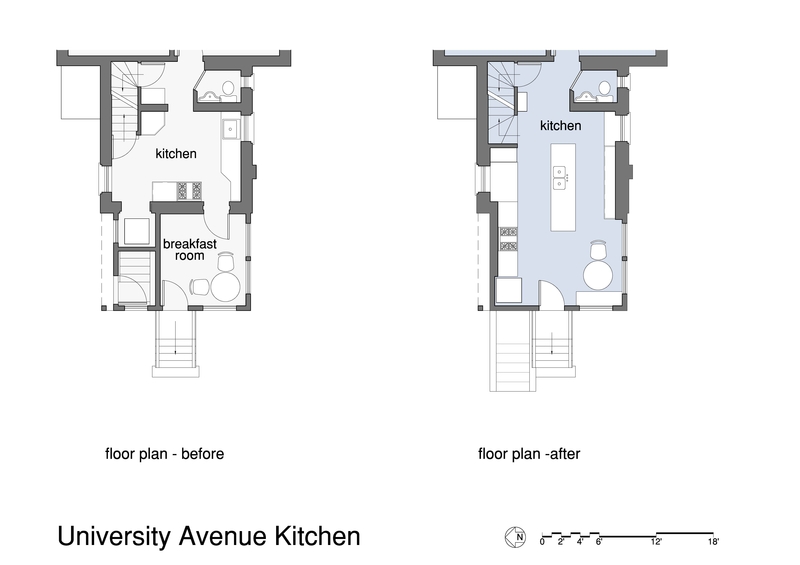 The enlarged kitchen now accommodates a full run of cabinetry and appliances and features a dropped section of countertop for pastry-making. A new island accommodates the sink and dishwasher and provides space for the microwave to keep it off the counter. On the opposite wall, shallow base cabinets store dishes and glassware, and a narrow counter provides space for small appliances. A large expanse of bookcases above holds cookbooks and magazines for convenient reference. The straightforward design is enlivened through the simple use of color. 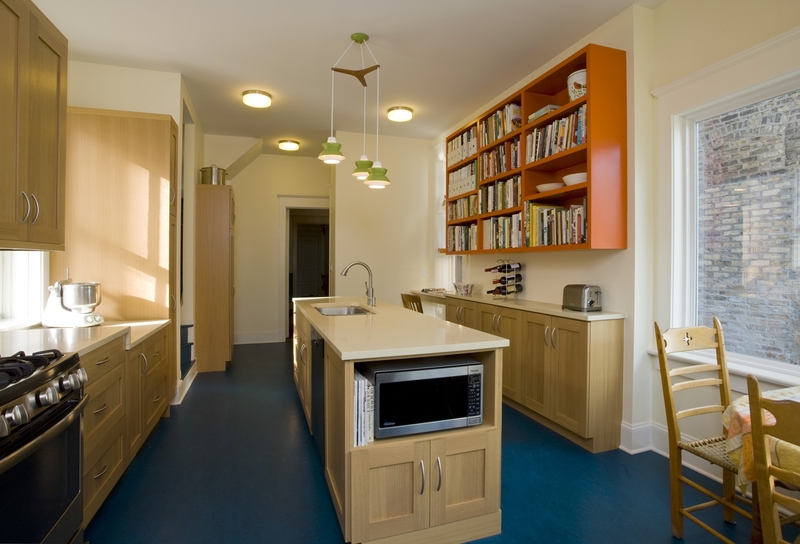 A plane of deep blue linoleum on the floor, a stroke of dark orange on the bookcases and a splash of green on the pendant lights highlight the warm tones of the white oak Shaker cabinetry.